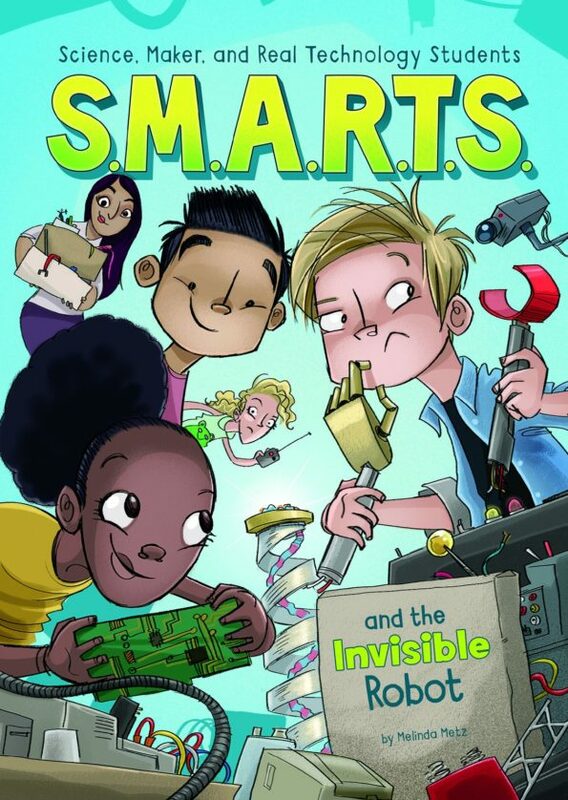 Booktalk: The S.M.A.R.T.S. can’t wait for the local high school’s Art of Science exhibition. It’s sure to be a great show, except for one problem–the centerpiece necklace has vanished! Snippet: “Okay, everyone, listen up! I have a surprise for you,” Mrs. Ram–short for Mrs. Ramanujan–called to her students. All eleven kids in the makerspace–the community area at the back of the school’s media center where students could meet to collaborate on ideas, robotics, science, and computers–turned towards her. Mrs. Ram patted the sheet covering a large table next to her. Something lumpy and bumpy was hidden underneath. If you told me, “Hey, I have a picture book about the history of taxonomy”, I might be classified as bloggerus runtheotherwayis. 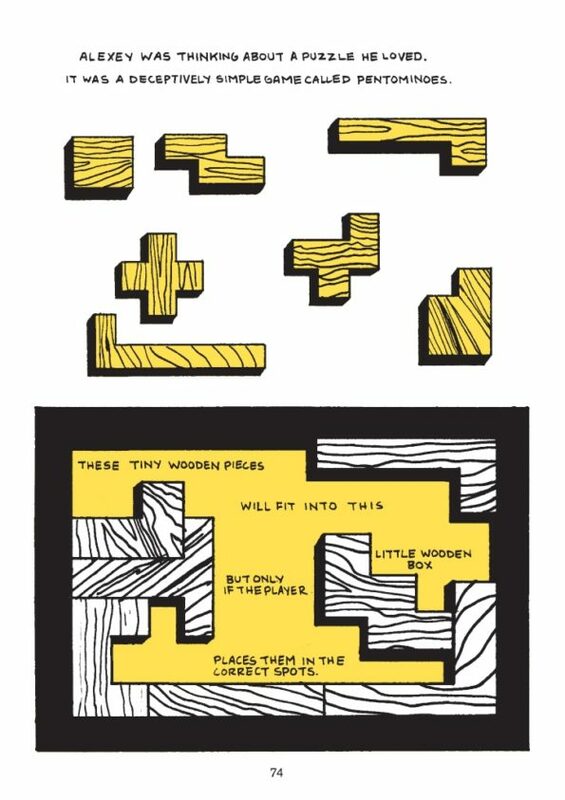 But this is a really interesting picture book biography about the father of taxonomy. I like how it’s framed as a story of someone who thought differently and went against the grain. Karl is a problem solver and eager to take up challenges. I also like the extra information attached to the lovely watercolor illustrations. It could be a quote from Karl or examples of his classification work. That’s like finding an extra flavor in a delicious dish of food. 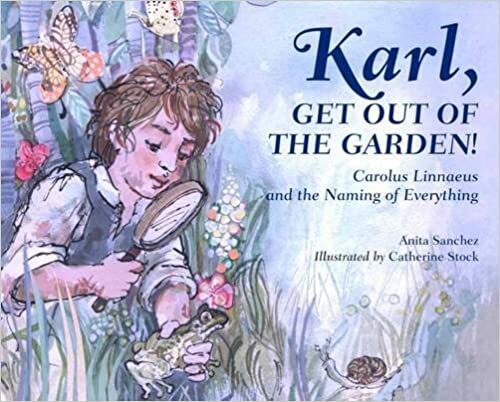 Karl, Get Out of the Garden would be a terrific addition to a biography or science unit. Earth is a great place to live. But, says Collard, if you look at all the animals on our planet, it becomes clear that insects dominate the life on Earth. Scientists have catalogues nearly 1 million species of insects, and they haven’t come close to finding all of them. As promised, this is a fun bug book. We learn about insects’ favorite foods – some will dine on tacos from a dumpster while others prefer sweet nectar – and there’s an entire section devoted to the “party animals”. Some bugs are very social. Collard introduces us to “good” bugs, those that we use for dyes, food, medicine, and pollination services. He introduces us to “bad bugs” that chew up crops and damage homes. The key thing: insects are essential and play a vital role on our planet. So if we want to do right by our six-legged buddies, we should be planting more gardens – and throwing out the pesticides. 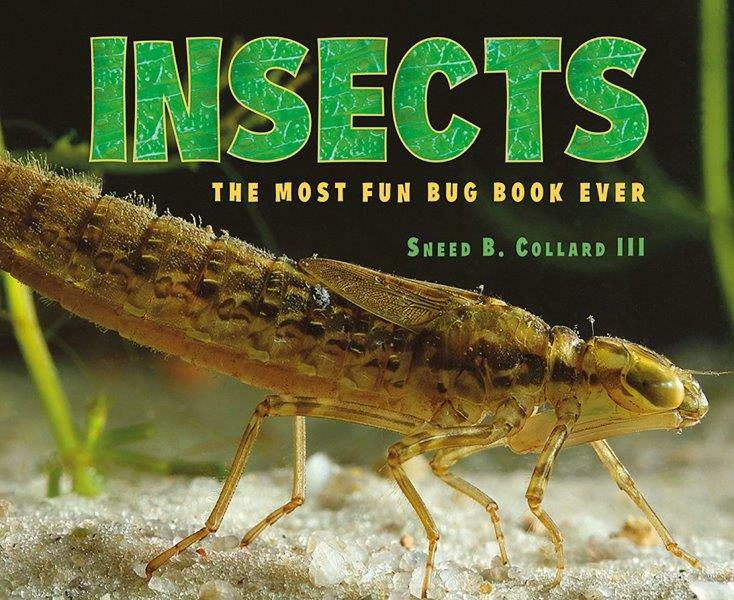 Check out another fun book about bugs over at Archimedes Notebook today. 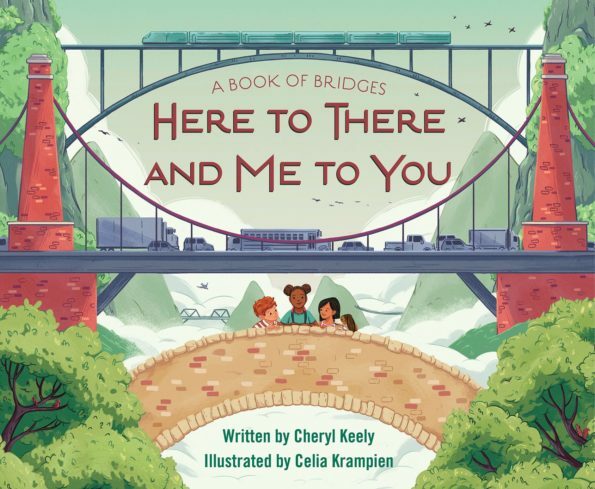 Booktalk: Bridges are some of the most fascinating structures in our landscape, and they come in all forms. 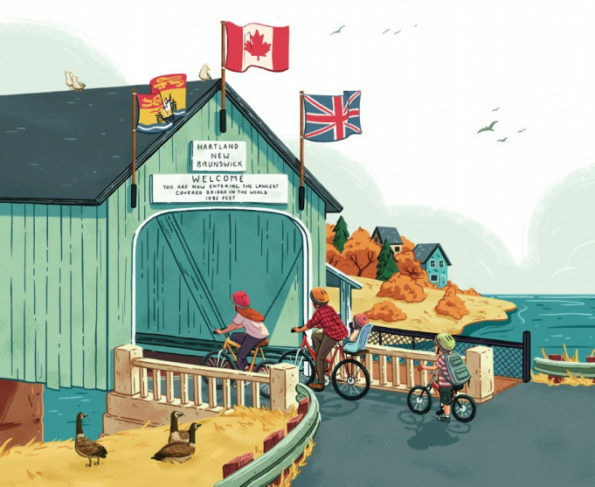 From towering suspension bridges to humble stone crossings, this book visits them all with bouncy text and expository sidebars. or in London, falling down. I grew up on Jules Verne, Isaac Asimov, Ray Bradbury, Heinlein and Star Trek. In the intervening years I have seen: flip phones (Star Trek communicators), voice-activated software, jet packs, robots, and more. So I loved the timeline at the beginning of this book – a date where an idea was introduced in a sci-fi story, followed by a date when that technology was first used. For example, in 1870 Jules Verne wrote about Captain Nemo piloting an electric sub in 20,000 Leagues Under the Sea. In 1954 the first nuclear sub, appropriately named USS Nautilus, was launched. Topics in this book include cloning ancient creatures (Jurassic Park, anyone?) 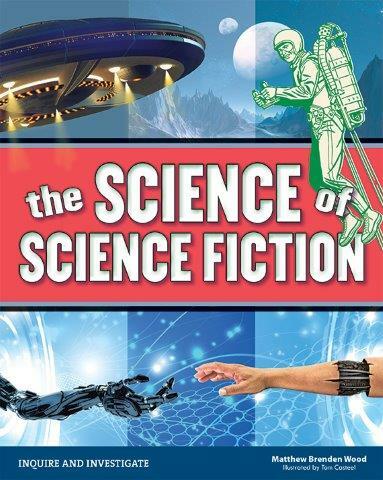 robots, androids, artificial intelligence, life on Mars, aliens, faster-than-light travel, and time travel. 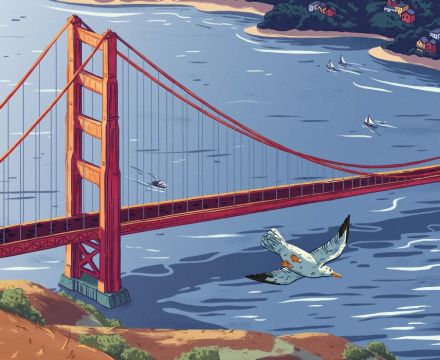 Text is augmented with cartoons, short sidebars, fast facts, and questions. What I really like are the hands-on investigations. You can extract your own DNA, calculate the likelihood of intelligent life in the universe, and play around with centripetal force. My favorite, though, is measuring the speed of light using a microwave, a bar of chocolate, a ruler, and a calculator. Who can resist an experiment that involves chocolate? Booktalk: Alexey Pajitnov had big ideas about games. 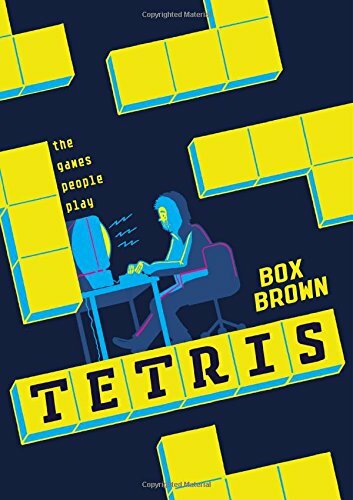 In 1984, he created Tetris in his spare time while developing software for the Soviet government. 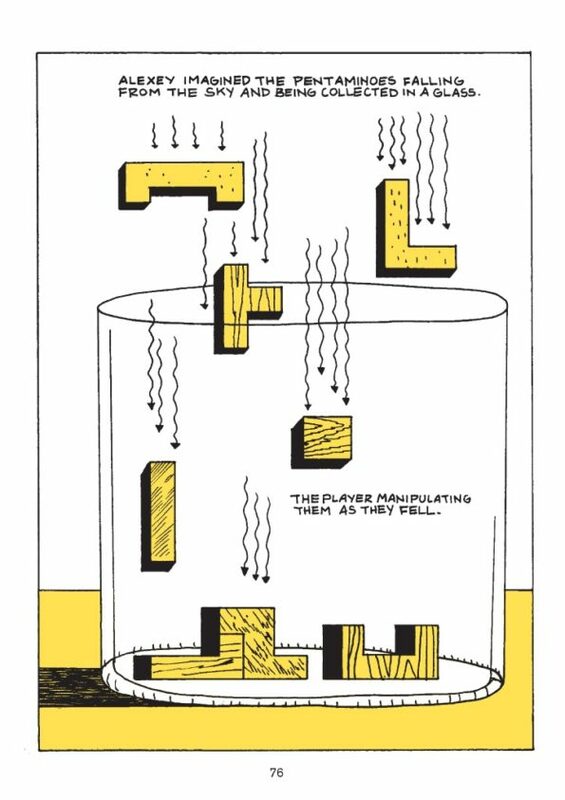 Once Tetris emerged from behind the Iron Curtain, it was an instant hit. 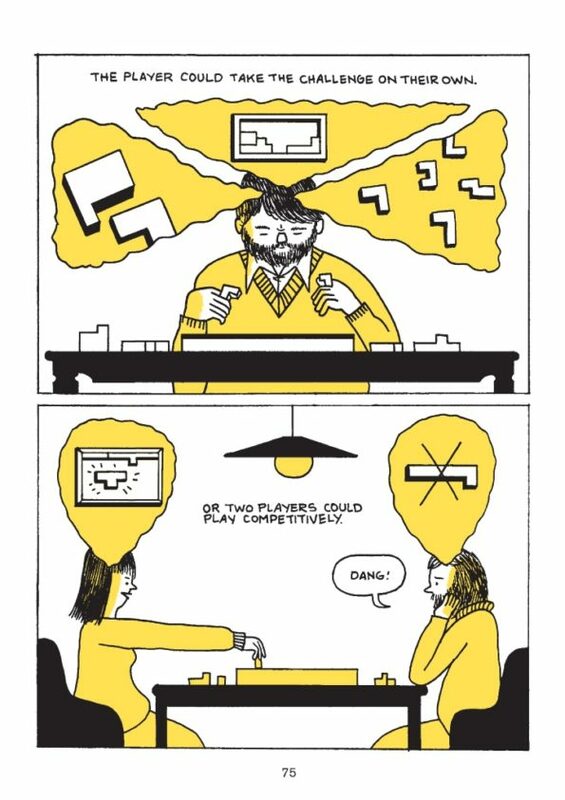 Nintendo, Atari, Sega game developers big and small all wanted Tetris. A bidding war was sparked, followed by clandestine trips to Moscow, backroom deals, innumerable miscommunications, and outright theft. Do animals think? Solve problems? Do math? Understand the concept of fairness? 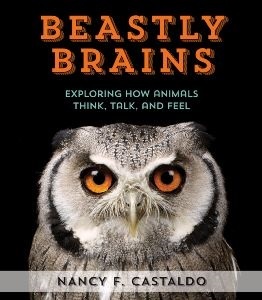 You bet, says Nancy Castaldo, and she offers up a wealth of examples shoeing how animals think, talk, and feel. In one chapter she describes and experiment in which scientists gave monkeys tokens that they could use to buy treats. The monkeys quickly learned to take advantage of “sales” (when they could get more than the usual item for the same cost). They also stole tokens from others. Other scientists wanted to know whether dogs feel jealousy. So they tested pairs of dogs. One was asked to “shake” without any reward. Then another dog joined them and when it “shook” paws it was given a treat. Do you think the first dog kept giving her paw when asked to “shake”? No! She went on strike! Unfair! Castaldo has filled this volume with stories that will amuse you, make you think, and maybe even inspire you to test your own pet’s intelligence. There is a wonderful section at the back (“Inquiring Minds Want to Know”) that outlines how you can do your own animal intelligence studies. There are also tons of other resources: places where your pets can get involved in studies, organizations that advocate for animals, videos and books, plus a glossary and source notes.